Qantas has dropped the price of some of their flights between June and November from Toronto to Sydney, Brisbane, and Melbourne, Australia down to between $902 and $968 CAD roundtrip including taxes. An amazing price on a great airline! 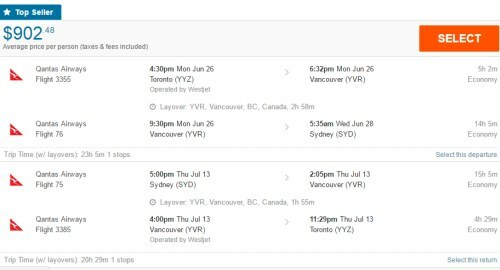 The Toronto-Sydney flights departing on June 26th seem to be the best ones (routing through Vancouver). A lot of the other flights have long layovers in the U.S. in at least one direction. 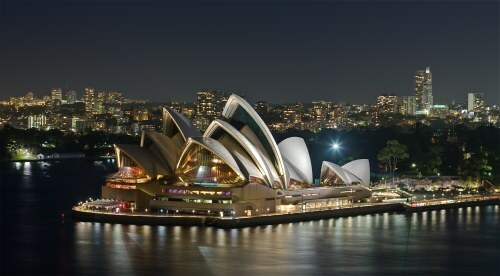 Update 6/12 - Flights from Toronto to Sydney, Australia on Qantas have re-appeared for $968 to $977 CAD roundtrip including taxes, for November and December travel. There are now also flights from Toronto to Sydney, Australia in February, March and April 2018 for $968 CAD roundtrip including taxes - most of these flights have a longer layover in one direction (6 or 7 hours), with a good layover length in the other direction (2-3 hours). 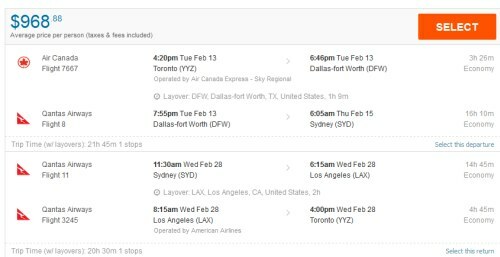 3 Responses to "Toronto to Sydney, Brisbane, or Melbourne Australia - $902 to $968 CAD roundtrip including taxes on Qantas | add Los Angeles for free"
I do those searches and that's not the prices I get!! For the date June 26 - July - its $1858 not $902??? 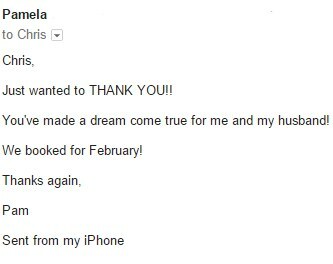 Anonymous: This deal was sent out over 2 weeks ago, so the prices have gone back up. You should sign up for the YYZ Deals alerts to be notified when these deals are released.